Grew up with BK Prostejov (Czech Rep.) juniors. Made his debut with BK Prostejov during the 2005-06 season, also playing with SK UP Olomouc, in the second division. Played with both teams also during the 2006-07 championship. Signed for the 2008-09 season by BK Opava. 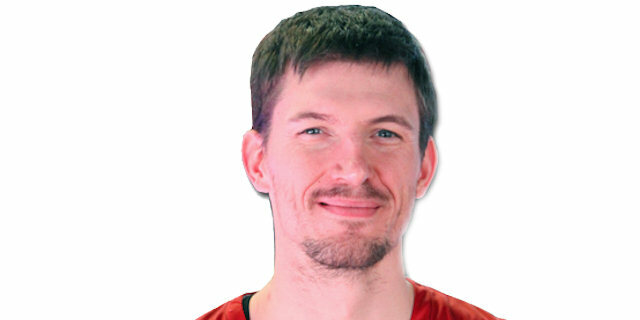 Signed for the 2009-10 season by CEZ Nymburk. Moved to Belgium for the 2015-16 season, signed by Spirou Charleroi. Won the 2009-10, 2010-11 and 2011-12 Czech National Championship with CEZ Basketball Nymburk. Won the 2010 and 2011 Czech National Cup with CEZ Basketball Nymburk. Played the 2010, 2011 and 2012 Czech All Star Game. Has been member of the Czech U-20 National Team.